In recent history, the US International Trade Commission (ITC) been a go-to venue for patent owners looking to prevent the import of infringing goods into the United States. However, a recent court ruling shows the limits of the ITC’s power as a venue for patent owners. In a recent ruling from the United States Court of Appeals for the Federal Circuit (Federal Circuit), ClearCorrect Operating, LLC v. ITC and Align Technology, Inc.[i], the Federal Circuit reversed an earlier finding from the ITC, and held instead that the ITC’s jurisdiction over the importation of “articles that infringe” does not extend to the “electronic transmission of digital data.” Instead, the court found that the Section 337 of the US Tariff Act is limited to “material things” as used in common terminology. That is, the Federal Circuit found that the, “invariant mass” of an electron associated with a digital transmission is outside the jurisdiction of the ITC. The opinion by the court was filed by Chief Judge Prost, however, this opinion was not strictly a majority opinion. Judge O’Malley joined in the holding that the ITC lacks jurisdiction over the case, but wrote a concurring opinion that differed as to issues of administrative law deference. Judge Newman wrote in dissent, arguing that the decision severely limits the future of cases brought under Section 337 of the US Tariff Act. 5. 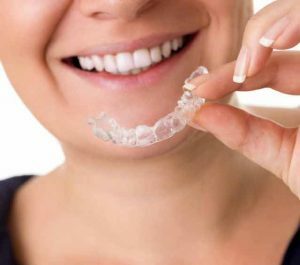 Print the aligners out with a 3D printer using the digital files. In this case, the only importation was the set of digital files representing the aligners that would be used to straighten the patient’s teeth. The ITC found that a digital article falls within the definition of “article” under the US Code, and as such, that the case is within the realm of ITC authority. However, the Federal Circuit finds that digital articles are not material things, and are not governed by the ITC’s authority. It should be understood that the ITC has overlapping jurisdiction with the US Federal District Courts, and that those District Courts are still available as avenues to pursue disputes related to importation of digital articles. Further, this three-judge panel ruling could be subject to review by the full Federal Circuit court or the Supreme Court at a later time. However, with the growing concerns over importation of digital articles to the United States, for both patent and copyright holders, this issue is likely to see further review in the near future. This article has been prepared for general information purposes only, to permit you to learn more about our firm, our services and the experience of our attorneys. The information presented is not legal advice, is not to be acted on as such, may not be current, and is subject to change without notice.